November 1997. It’s been six months since So Vile a Sin was published, and the New Doctor Who Adventures came to an end. Virgin is ploughing on with Doctor-less New Adventures fronted by Bernice Summerfield, which largely have the same authors – and audience – as the Doctor Who books. As expected, Fox did not pick up the TV movie for a series. There’s no imminent prospect of Doctor Who being made for film or TV again. Against this unpromising backdrop, BBC Books have launched a new series of Eighth Doctor Adventures featuring the TV movie Doctor and a new assistant, Sam Jones. The first in the series, The Eight Doctors, is widely agreed to have been a disaster at least as bad as Timewyrm: Genesys, making the uphill struggle to win over those of us who’d been loyal Virgin fans even more difficult. Particularly because, in a parting up-yours to the BBC, Virgin had published a single, widely admired eighth Doctor New Adventure of its own. In retrospect, the first six months of the Eighth Doctor Adventures aren’t as awful as it felt at the time. Barring one, they were all written by Virgin authors, and four of them wouldn’t have been out of place as New Adventures. The exceptions are the abovementioned The Eight Doctors and War of the Daleks, a novel that tended to imply its author John Peel hadn’t liked any Doctor Who made since 1975, a view that might have endeared him to some fans but probably not many who read the books. The biggest problem with the Eighth Doctor Adventures is a lack of direction. 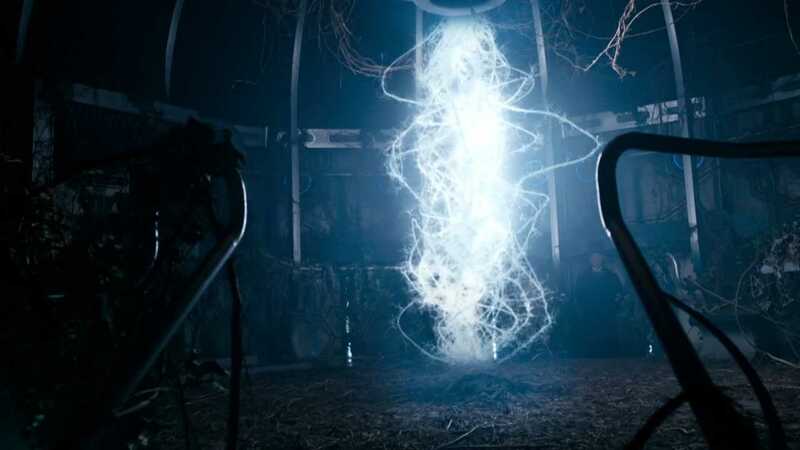 Unable to use any of the new characters or situations introduced in the TV movie, faced with a BBC Books policy to ‘neither confirm nor deny’ the New Adventures, a new Doctor and companion who were pretty much blank slates and no Peter Darvill-Evans setting the tone, the writers had pretty much nothing to build on. Understandably, the writers took the opposite approach to Virgin, which had dropped the known quantities of the seventh Doctor and Ace into ‘previously unexplored realms of time and space’, and instead put the unknown eighth Doctor and Sam up against enemies and situations that were familiar to readers. Hence the first five books feature all seven previous Doctors, two re-matches with the Vampires, the revenge of the Zygons, the return of Jo Grant, and the resurrection of the Daleks and Davros. The eighth Doctor’s personality likewise became ‘opposite’ to the seventh’s: open, spontaneous, upbeat, ‘light’. Anyone who describes these books’ eighth Doctor as a “Byronic hero” clearly has no idea what the term actually means (it doesn’t mean floppy hair and a frock coat). Sadly, he’s just not that interesting. We can be overly harsh on the books, though: the DWM strip was doing exactly the same, pitting the new Doctor against the Celestial Toymaker, the Daleks and a court room full of defeated enemies. A character with an hour of screen time is too narrow a basis for a million words a year, particularly when the different ranges are actively not collaborating, and there’s no one person – like Darvill-Evans – willing to step up and take charge. This problem ultimately lasts until Paul McGann starts to work with Big Finish, and brings his own take on the eighth Doctor – a kind of sardonic detachment – that’s closer to the concept of a Byronic hero than anything done to that point. Until then, Doctor Who was hobbled, pinning too much on too little. But given the “leading man” was inadequate, Lawrence Miles comes up with a clever solution. Alien Bodies, BBC Books’ sixth Eighth Doctor Adventure, gets round its tabula rasa Doctor and companion by making that in itself part of the story. Sam Jones is revealed to be a construct, whose biodata has been rewritten to make her a better companion: there’s a more troubled, more real version somewhere buried in her essence. Meanwhile, the Doctor is confronted with his own future death, in battle, on an alien planet, during a Time War between Gallifrey and its great Enemy. His corpse has become a complicated space-time event, much sought after by his enemies. The New Adventures had their ‘Cartmel Masterplan’, and a dark secret in the seventh Doctor’s history. By making the interesting thing about the eighth Doctor his awful future, Miles tips the focus of the Eighth Doctor Adventures on their heads, gifting BBC Books a whole new mythology to play with, shifting the series away from delving into revelations about what might have happened in the Dark Time, or in the Doctor’s past and urging the range to look to the future, to build towards something rather than trying to build on the thin foundations of the TV movie. This is a genius solution to the problems of BBC Books in in 1997, a way for a range that was becoming increasingly trapped in nostalgia to look forward. Because the Time War is in the future, it never has to actually arrive, but it does offer a pole star, a direction of travel for a directionless series.